Never doubt the prognosticating powers of the Korean Ratings Board, particularly when it comes to upcoming Capcom games. The ratings board was the first source to out the existence of the Devil May Cry HD Collection before it came out last year, and it’s been right about others as well. In November, the ratings board posted an entry for Resident Evil: Revelations, Capcom’s original survival horror game for the Nintendo 3DS. This version of Resident Evil: Revelations was for Xbox 360 and PlayStation 3, though. While Capcom hasn’t officially confirmed the game is coming out, more evidence has popped up suggesting the Korean Ratings Board is on the money again. Resident Evil fans can get ready to up their gamer scores. Xbox 360 Achievements.org posted a full list of achievements for the Xbox 360 edition of Resident Evil: Revelations Unveiled Edition. The list doesn’t hold many surprises for Xbox Live Achievement hounds, with points doled out for completing story chapters as well as different difficulty settings. There are also a variety of achievements related to Raid Mode, Revelations replacement of the usual Mercenaries mode that has you playing brief missions, racking up experience and weapons as you go. An Xbox Live Achievement list isn’t exciting news, but it’s also a good indicator of what, if any, new content will be added to this release of Resident Evil: Revelations. Unfortunately it doesn’t appear that Capcom is expanding the game’s campaign based on this list, as all of the achievements pertain to content present in the 3DS version. The release of Resident Evil: Revelations Unveiled Edition is promising in other ways, though, it confirms that Capcom is greatly expanding its approach to multiplatform digital releases as suggested by the company’s December customer survey. That survey gauged interest in digital releases of console games on handhelds, vice versa, and HD remakes beyond the company’s old fighting games. 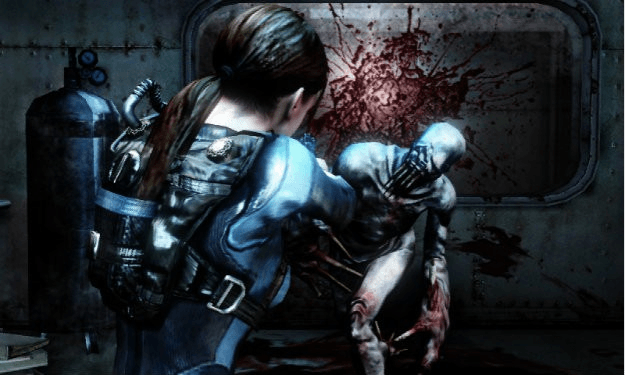 Fingers crossed that Resident Evil: Revelations’ jump to consoles means titles like the Gamecube/Wii remake of Resident Evil may make a similar jump.